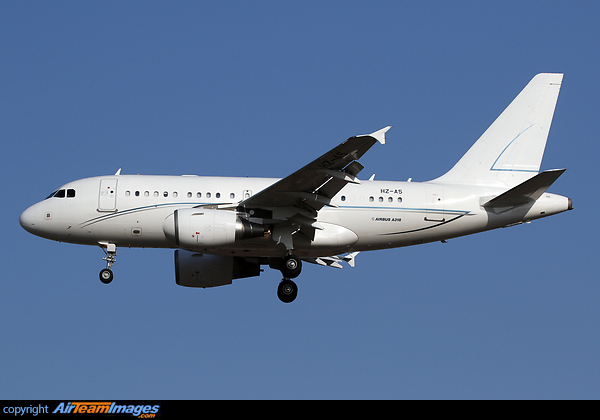 The A318 Elite is a medium/long range corporate version of the A318, which is the shortest member of the A320 airliner family. It is the entry level member of the Airbus ACJ family of corporate transports. 2 x Pratt & Whitney PW6122 or PW6124 turbofans. The CFM56-5B/P is also offered as an alternative. Both deliver around 22000lb-24000lb thrust.